At Pittsburgh Digital, creativity is at the heart of everything we do. We explore, invent, and execute ideas to provide exceptional musical products for our all of our clients. Manufacturers find that our designs are highly valuable and truly unique because we know the market as well as the technical issues. We know musical instruments inside and out from an engineering point of view, and just as important, from a musician's point of view. These multiple perspectives give us exceptional insight into the many engineering possibilities in the marketplace. Our clients find that our services are highly valuable and truly unique because we know the market as well as the technical issues. We are well acquainted with the many tradeoffs between manufacturing/development costs, and perceived market value. Multiple perspectives on product design give us exceptional insight into the many engineering possibilities in the marketplace. The core of our business is providing exceptional hardware and software engineering for musical instrument products. We have experience with a wide variety of programmable devices, and we are happy to work with you to create the best hardware platform for your product, and then add the software you need to make your product a successful. 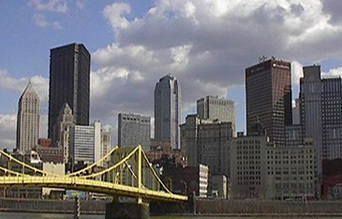 Please contact us to see how Pittsburgh Digital can deliver outstanding products for you. 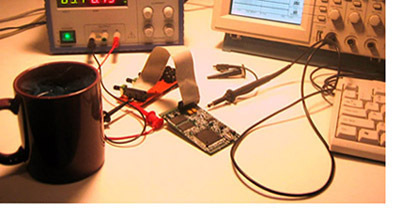 Pittsburgh Digital has a great deal of expertise in audio DSP algorithm design and prototyping. We utilize an extensive in-house library of Matlab™ audio-processing functions, and can rapidly prototype audio processing blocks, and run them on real-time DSP hardware for your evaluation..
For manufacturers who are unsure about a new idea or product, Pittsburgh Digital can simulate the technology in question, providing the client with a clear picture of performance prior to the client making extensive investments in development or manufacturing. We have a growing list of audio effects algorithms that we have implemented, and can incorporate into your next product. Our repertoire is ever-expanding, so please call us to discuss your specific needs. We can provide eXpress DSP (a.k.a. XDAIS) algorithms for all Texas Instruments DSP platforms. See our Proprietary Software Technology page for more information. In addition to more typical benchtop lab equipment and hardware/software for data acquisition, Pittsburgh Digital utilizes its Audio Precision Dual-Domain System, a system that ensures the most exact measurements for every dimension of audio gear. For more about the potential of this system, we encourage you to visit audioprecision.com. We’re always looking for the right people! If you are an engineer with embedded systems experience, and share our enthusiasm for audio and musical instrument technology, please contact us. From time to time, Pittsburgh Digital has openings for part-time and internship positions. Qualified candidates are graduates of technical programs, or students currently enrolled in electrical engineering or computer science degree programs. For these positions, we seek motivated individuals with a strong interest in audio and musical electronics. Candidates are often actively involved in music, music production, or audio-related endeavors.